Boring is good! When it comes to a mortgage, you want plain vanilla — not the sugar coated, nut-filled, whipped cream-topped gooey goodness that got us into the mortgage crisis. Just a few years ago, banks were offering mortgages to anyone with a pulse, and even those without one! (Yep, mortgage fraud can be ugly). At the height of the bubble, creative loans and exotic mortgages were the rage. Banks offered liar’s mortgages (no proof of income required), interest-only mortgages, no down payment mortgages, teaser rates, balloon mortgages, adjustable rate mortgages (ARMs) and other unconventional home loan options. Those mortgages were dangerous for consumers and lenders alike, as we’ve seen the aftermath for years following the crisis. When you look for a mortgage, stick to the fixed rate mortgage for a reasonable term. If your lender starts talking about low-rate ARMs, or other exotic terms, quickly bring him back on track. You want a fixed-rate loan so your interest rate and monthly payment will always be the same. Most banks offer standard mortgage terms of 15 and 30 years, which is best for most consumers. You might be able to find terms in between those durations, but you don’t want to extend to a 40- or 50-year mortgage because you would end up paying hundreds of thousands more in interest — and in all likelihood, you would never pay it off. 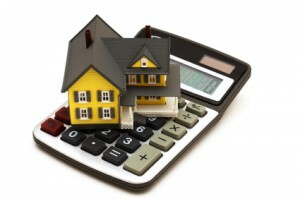 The downside to a shorter, 15-year mortgage is that the monthly payments are higher, and therefore, tougher to budget. Thirty-year mortgages also tend to have slightly lower interest rates — but of course, end up costing you more in interest over the life of the loan. Make a 20 Percent Down Payment — Or More! You definitely want a large down payment, and 20 percent or more is preferred. Why the magic 20 percent mark? Because 20 percent is the amount needed to avoid private mortgage insurance, which benefits the lender, not you. A 20 percent down payment also means you borrow less money, reducing your monthly payment and the amount of time it takes to repay your mortgage. Even a few tenths of a percentage point can save you tens of thousands of dollars on a mortgage. “On top of that, those homeowners pay tens — even hundreds of thousands of dollars more in interest. That’s why I never recommend 30-year mortgages. 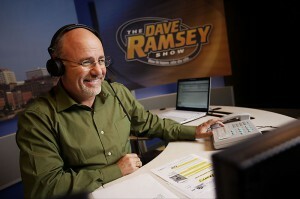 If you don’t pay cash for your home, get a 15-year mortgage with at least a 10% down payment and monthly payments that are no more than 25% of your take-home pay,”, advises Dave Ramsey. The mortgage lending industry is still highly competitive, so do your due diligence and shop around for the best mortgage rates. Even a few tenths of a percentage point can save you tens of thousands of dollars on a mortgage. Finding the right home takes patience, and so can finding the right mortgage. If you can’t find the right terms, then consider putting off your purchase for a few months. This can give you the necessary time to increase your credit score and save a larger down payment — both of which can save you thousands of dollars in the long run! GOBankingRates > Loans > Mortgage > 15-Year Versus 30-Year Mortgage Rates: Which Is Best?